Look! There is a dragon on the box-art. Best game ever made! 10/10. Next game. My love for dragons has nothing to do with this game. It was only a lame joke to start my explanation for my pick for the 19th spot. I do love playing puzzle games sometimes. But when there is a battle element involved, I enjoy it even more. It has also been released on Steam, so you can enjoy it on the PC as well. I have to admit that I haven’t beaten the game. But I’m really trying to find time to play this game. Sadly enough, this is a game I can only play in short bursts. That’s mostly due to the nature of the gameplay. But I’m sure that some people might be able to keep playing this game for hours on end. What I have seen from the game shows that this game is a very good game. Further proof is that on some lists of forgotten gems on the DS, this game appears. So, I don’t have to further proof myself… I think. In this game, you play an elf that is fighting the orcs to stop corrupting the land. You fight through various dungeons and explore them. Best of all, it’s in 3D. So, that makes the atmosphere even better. What I love most of all, is that this game is turn based. If you make a move, your enemies make a move as well. This makes the game very tactical. I haven’t beaten this game since the final boss is pretty brutal. At least, to me. Maybe, when I restart playing this game and thought out the evolution of my character a bit better, I might be able to defeat that boss. We shall see. And maybe then I’ll write a review about it! So yeah, we shall see. Recently, I have beaten a game called M.U.R.D.E.R.E.D. – Soul Suspect. My buddy, Seraph made a great video review for it. I highly recommend you guys watching it some time. But this game is how it should have been. This visual novel and adventure game puts you in the role of a ghost. You have to avoid the death of a character by going a few minutes back in time. Then you have to poltergeist items to change the course of history. The game became really memorable to me because one of the characters is a black cat, one that reminds me a lot of my own cat, Sparta. If only, my real life cat could talk to me. When I started writing about this game, I actually wanted to replay this game. Since the memories are getting vague. Which is a good thing, because I remember enjoying this game a whole lot. Maybe, one day, I might write an article about it. It would be a shame if I hadn’t put an Indiana Jones game on this list, right? Well, here it is! Lego Indiana Jones. I know that there is a sequel and an other game of my favorite hero on the DS, but I don’t think they deserve a spot on this list (yet). Because, I haven’t played them enough. 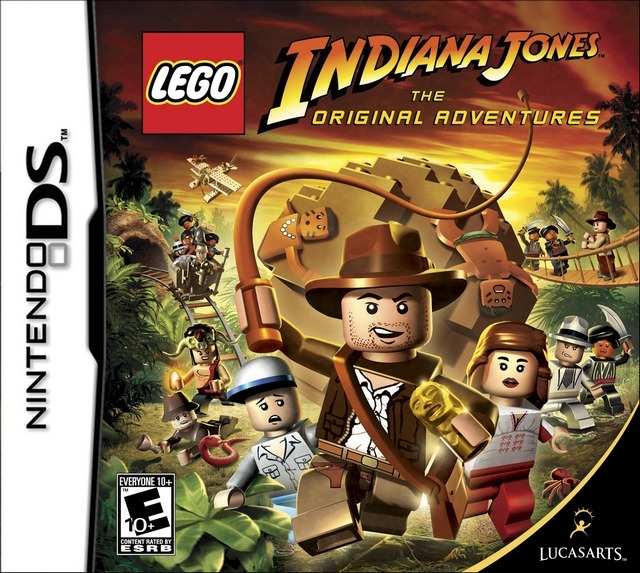 This game is simply one of the best LEGO games I have ever played. In 2014, there is an overdose of LEGO games with all a similar formula. This game is pretty fun to play. It follows the plot of the movies pretty close. It helps introducing the movies to a younger audience, since it doesn’t contain the graphical scenes which made the movies not meant for their eyes. The humor of this game makes it even better. I actually laughed with some jokes they made with the characters I love. I hope that the sequel can bring me the same joy. I finally got myself a copy, so fingers crossed! I know what some readers are already thinking. Isn’t this cheating? Putting these games on spot 15, while I put all the Mario games on spot 23? No, it’s not cheating. The reason behind it, is that these games are pretty different from the Mario series in my opinion. The honorable mention for this spot is WarioWare D.I.Y., which helped DS gamers to make their own mini-games. That was simply an amazing experience. But if this spot has to go to one game, it has to be Wario: Master Of Disguise. Because I think that this game has a brilliant idea behind it. You play in the role of Wario. He just stole a magic wand that gives him the ability to transform in different suits that give him special powers. Maybe, I should take a closer look in a review or something? In the past, the Scribblenauts series was criminally overlooked. Because the game was on the DS, it looked like a kids game. While in reality, it’s one of the best games to be creative in. I could have put the original too in this spot, but there is a reason why I don’t. 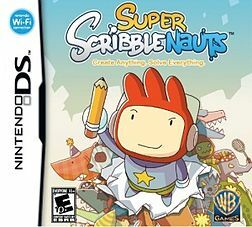 Super Scribblenauts is just a better game then it’s original. It surpasses the original by so much. While the user interface isn’t the best I have seen on the system, it’s highly addictive to play. Oh, you might be wondering what this game is about? Let me tell you, it’s about writing things to helps people. The people in Maxwell’s (main character) area aren’t very smart. So, you have to write words on your magic notepad. The words you write however, come to life. In this version they added adjectives! So you can write “big blue truck” and you will get just that. You can basically write anything, as long it’s PG-13 and it isn’t trademarked. The game is a lot of fun, and if you are interested, there are a few titles of this series on Steam. So you have no excuse to give this series a try! This game blew me off my socks. I think that this is one of the best games in it’s genre. This is how you should make a game about card and board games. I barely have anything negative to say about it. The multiplayer is quite fun and I mostly remember this game because I played it a lot with my sister while we were young. The hours we spend on this game secretly playing this game while we are supposed to sleep. I really enjoyed those times. I recently got this game back, since I lost my first copy. And I play it from time to time. In the present, I play this game while I’m on the train towards work. But I’m afraid that I’ll miss my station one day because I’m too addicted to this game. So, fingers crossed that it never happens. Actually, I should write a review or something about this game. 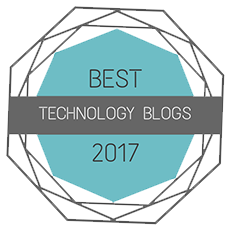 Maybe next month, since in September I will write about games I wanted to write about for a long time. Also known as “Trace Memory” in Europe, this visual novel game is quite an overlooked gem. The story of this game touches me on personal levels. There are some things that happen in the game that make it quite memorable to me. I won’t give the details about them, since they are personal. A while ago, I actually took a look to the sequel of this game on the Nintendo Wii. If you are interested, you can follow this link to it: Another Code – R. In this game, Ashley is on a quest to look for her father. While she is on that quest, she will unravel a mystery about her dead mother. It’s a quite thrilling story, actually. Ashley has a sort of PDA-ish device that looked like a DS. Her father developed it. It might be an easter egg or not, it’s quite an amusing touch. Sadly enough, the developers of this game went bankrupt. Cing made also the smash hit named Hotel Dusk. Before you ask yourself which spot that it’s going to have on the list, let me save you this disappointment. I couldn’t really get into the art style. I wrote a review on this game not too long ago! I praised it enough, so you guys might have seen this entry coming. So, the reason why this is one of my favorite games, it’s simply because the story, theme song and gameplay kept my playing until the very end. While the game’s length is criminally short, the actual content is highly enjoyable. The soundtrack is one of the ones I have heard in a visual novel game. That themesong, that’s the most important factor in this game. The memories that are connected to it, that’s what I gave this game such a high spot on my list. Some memories about it might be personal, but they sometimes come all back when I listen to the song. At once. I still remember playing this game, with my back to a radiator. It was quite cold. It was in the middle of the winter and it had snowed a whole bunch. A part of the wheels of my mothers car where even stuck in the snow. But I couldn’t be bothered, I was too drawn into this gem of a game. xSeed, I’m sorry to hear that the sale of this game didn’t went all that good. For that reason, you couldn’t release the sequel in the west. I urge everybody to start playing this game. If you love challenges and retro games, it’s right up your alley. If you liked games like NES Remix on Wii U, this game is something for you. The humor, references and actually pretty accurate evolution of the video game industry… It makes for a gem of a game. I really wish it was more successful then this. 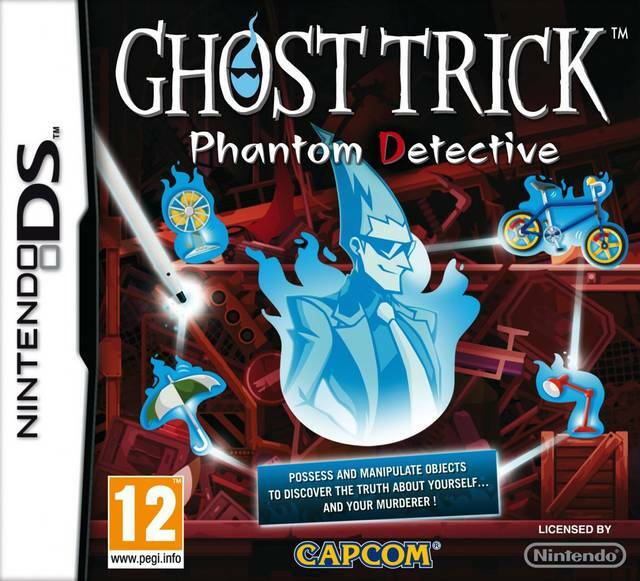 This game appears on various overlooked / underrated and top DS games, and it has every right to do so. This game has multiple games into one. And they aren’t simply mini-games, no! They are in itself full games. They were even able to get a story into the game. Before, I sound like I’m trying to sell this game to you, I actually am. I’m not being payed by xSeed, but I think you should give them your money for this game! Or check it out at least! This entry was posted in Personal and tagged 001, 10, 19, 25, 42, adventures, all, and, arpegi, buttonsmashers, challenge, Cing, clash, classic, club, detective, Disguise, DIY, ds, elves, game, games, gems, ghost, heroes, hollow, house, indiana, jea, jones, Jonez, jonez001, jonezjea, konami, Lego, magic, master, might, my, neko, Of, orcs, original, overlooked, phantom, retro, scribblenauts, super, The, time, top, trick, underrated, WarioWare, xseed on September 1, 2014 by NekoJonez.